Reread, because I just felt like it. It’s a great adventure story which uses a lot of reasonable, modern science to imagine how we’d get people to Mars to explore — and what we’d do if someone was stranded there. The main character, Mark, is funny, which both builds sympathy for him and ameliorates some of the frustrations of the way things just keep going wrong. I love the bit in the afterword by the author where he explains that he found that each solution to the last problem naturally presented a new problem for the characters; now that’s a good way to put a story together. 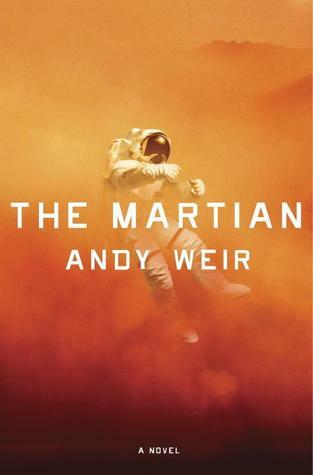 Most of the characters aren’t that well rounded, because so much of it relies on reporting Mark’s diary entries as he struggles to survive on Mars. It mostly still works, though, and there’s some excellent snark I just love, e.g. the whole “Elrond” meeting. It’s not a perfect book, but I enjoy it a lot. If you’re a fan of the Apollo 13 movie, or of space stuff in general, then I think this should appeal — as well as if you’re into survival adventure stories. I haven’t read this or watched the film yet but I certainly plan to as I’ve heard good things about both. I do like watching space related things yet I don’t really read sci-fi which is a bit weird! This is pretty realistic — Apollo 13-like, for example! I’m not sure if you’ll like it, but I think you just might. Just found yer blog. Looking forward to readin’ the backlog. Arrrrrr!